In March, “Francis Bacon, Lucian Freud, and the School of London” opened at the Pushkin State Museum of Fine Arts. Organized in cooperation with the Tate (London), the exhibition includes 80 artworks. The Moscow Times talked to Marina Loshak, director of the Pushkin Museum, about the exhibition and cooperation with Tate. When did you start organizing this exhibition? I had the idea in early 2014 during my first trip to the U.K. as the director of the Pushkin Museum. In London, I met with Nick Serota [Tate director from 1988 to 2017]. He was very friendly. He told me that he wanted to help and we began started to discuss what could we do together, taking into account the exhibitions that the Pushkin Museum had done in the past —William Turner’s retrospective and the Pre-Raphaelites. They gave me a list of various possible exhibition topics, and I immediately selected the School of London [London-based artists in the 1970s who were doing figurative painting when the avant-garde was in fashion—The Moscow Times]. It was the first time the Tate proposed to do a show of the School of London outside the U.K. But then things did not work out and the exhibition was postponed, then postponed again. Meanwhile, the idea was brought to life, and a show of the School of London toured the world, with stops in Los Angeles, Malaga, and Aarhus. Well, the stars finally aligned, and we were able to bring the show to Moscow. It’s a large exhibition — 80 works from the Tate — and so it’s quite expensive. Naturally, we needed to find a sponsor, which wasn’t easy because it’s not a show about beauty; to the contrary, it is about all that is terrible in human life. It was the happiest day of my life, last year, when our general sponsor, VTB, chose this exhibition. How were you able to organize such a large-scale exhibition when relations between Russia and the U.K. are so strained? We really wanted to organize show this year. We’ve been calling 2019 the “British year” at the Pushkin Museum. We wanted to show that the relationship between our two counties is not as bad as it seems. The bottom line is that the world is not one-dimensional. There are always different elements at play, different colors. All of our colleagues, no matter where they live — in the U.K. or in the U.S. — are even more open to interaction now than before, more willing to cooperate, just as we are. Everyone realizes that balance is needed, and this exhibition confirms it. How would you describe the exhibition’s main theme? It is an exhibition about pain and trauma. In a way it is a continuation of our 2017 exhibition devoted to European post-war art. In this show, we narrow it down to just the U.K. and present six British artists: Frank Auerbach, Francis Bacon, R. B. Kitaj, Leon Kossoff, Lucian Freud, and Michael Andrews, all of whom share something of their understanding of the world. This is a very important project for us, and I hope people will like it, especially young people. For older people, like my parents’ generation, it might not be so important, because they’ve already experienced all these existential problems and reflected on them. How did you choose the works for the exhibition? It’s always a difficult process because many works are in the permanent collection [and aren’t loaned out], some are on loan elsewhere, and others are being repaired. 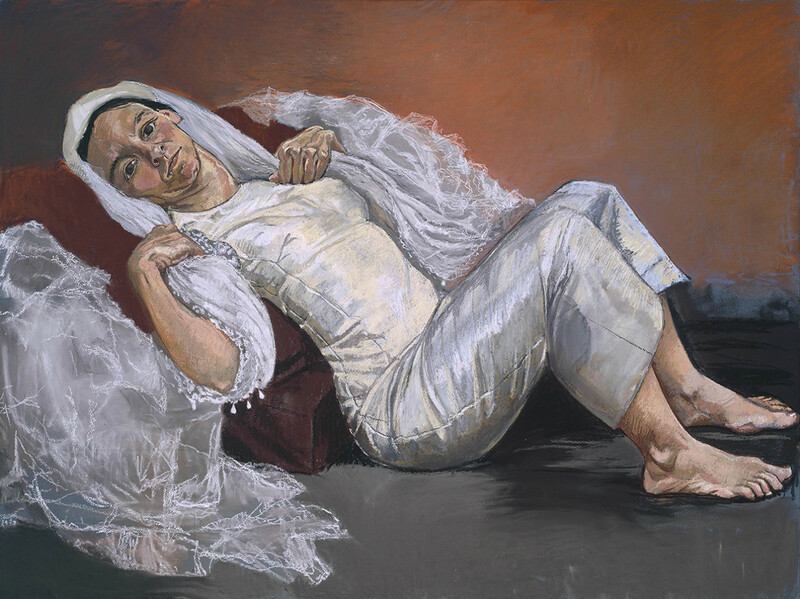 We knew what paintings by Lucian Freud that we needed — we wanted works both from his earlier and later periods, since it is very important to show works from different stages of his life. We needed both Auerbach’s portraits and his landscapes, which play an important role here showing that the School of London is not only about the body, not only about showing the human essence through the portrait. Auerbach’s landscapes are also viewed through the same personal prism. Apart from the six artists in the London School, we also showcase artists who influenced them or became followers. 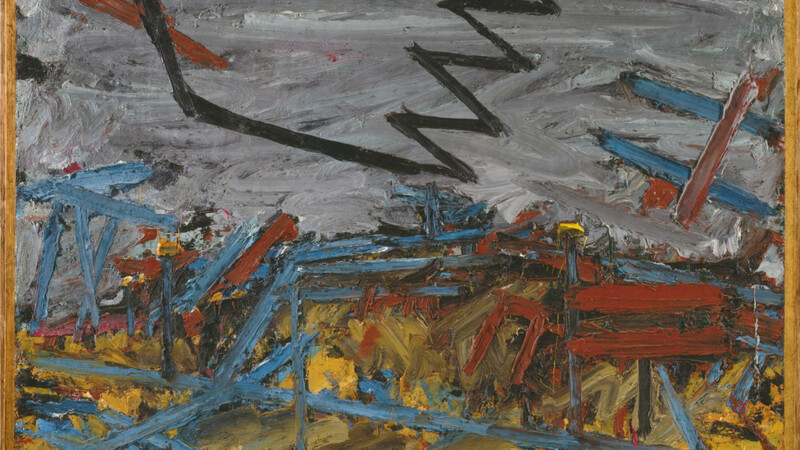 David Bomberg was, in essence, the teacher of Auerbach and Kossoff. 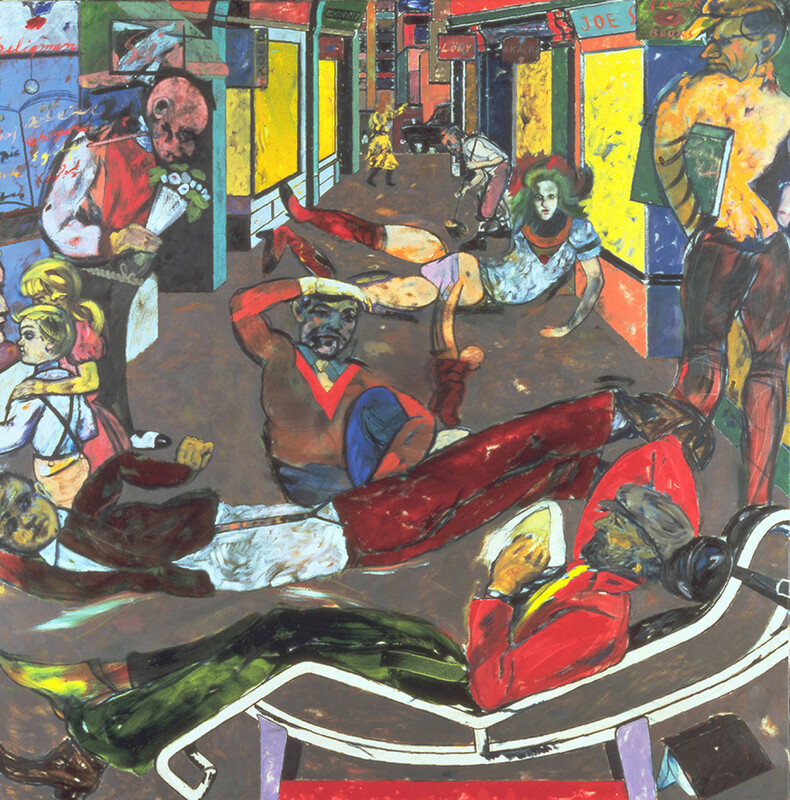 Paula Rego is a younger artist who shares the ideals of the School of London. It was a rather long and painful process… but I think we got everything we needed in the end. What else do we have in store for the “British year”? This isn’t the only British-themed event at the Pushkin Museum this year. This year’s closing exhibition will be a retrospective of Thomas Gainsborough. This is another “gap” in British art we need to fill. We’re doing the show with fifteen British museums, not just the main ones, but provincial ones as well, including Gainsborough's House Museum. We’re also doing two music festivals. During the School of London show we’ll have a festival of modern English music, and during Thomas Gainsborough exhibition we will have British-themed “December Nights of Sviatoslav Richter.” We’re organizing both festivals together with the British Council. 12 Ulitsa Volkhonka. Metro Kropotkinskaya. Two concerts will be held in connection with the show on April 21 and 25. Read a review of the show here.